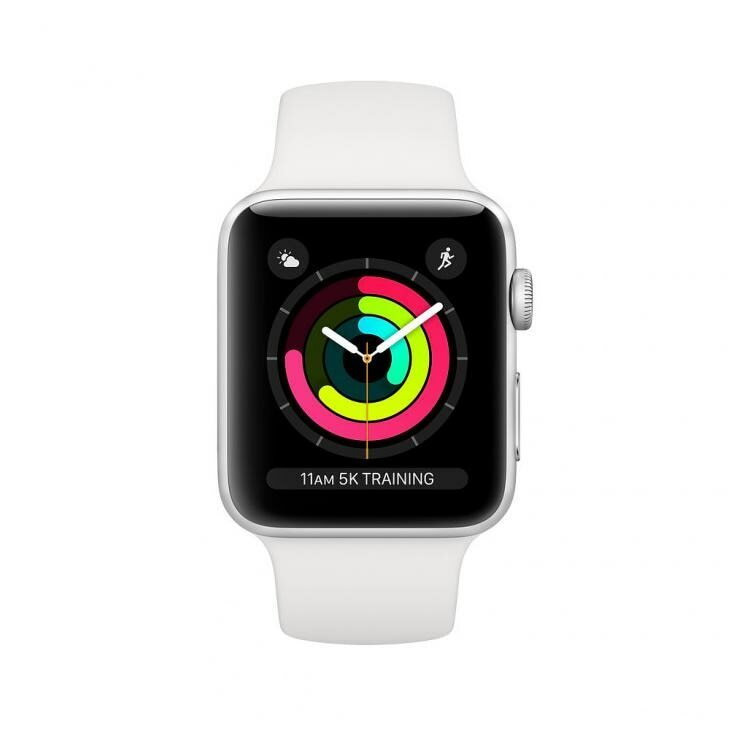 Apple Watch Series 3 42mm has display for apps and other functions of the smartwatch. Low and high heart rate notifications. Emergency SOS. New Breathe watch faces. Automatic workout detection. New yoga and hiking workouts. Advanced features for runners like cadence and pace alerts. New head-to-head competitions. Activity sharing with friends. Personalized coaching. Monthly challenges and achievement awards. You can use Walkie-Talkie, make phone calls, and send messages. Listen to Apple Music and Apple Podcasts. And use Siri in all-new ways. Apple Watch Series 3 lets you do it all right from your wrist.